We’ve all seen the meme. And we can all relate. But when it comes to the responsibilities of landlords this new version might even be more appropriate. Your exiting tenant – Make sure to be clear with your tenant that if they fulfill their end of the lease, which should include a section that they leave the premisses as good or better than it was found, that they will indeed get their security deposit back. A lot of tenants these days feel like their security deposit will be forfeited no matter what they do. And in some cases a bad landlord will try to find any means they can to poach this money. If you can incentivize your tenants by letting them know that you are a stand up landlord and intend to return their money in full, you will save yourself a lot of time and money in doing so. If your tenants are wild animals that wrecked the place, well… That’s what that deposit was intended to cure. Turning over the property – Depending on the level of work needing to be done will determine your level of loss taken on the turnover. Luckily most of this work can be done DIY if you have even the slightest interest in being handy. Painting and cleaning take little knowhow or effort. Replacing broken light fixtures or other mildly knowledgeable tasks are also well within most peoples grasp and can save you heaps of time and money waiting for your handyman to schedule you in. (See DIY Service To The Rescue for some tips). Marketing and listing – This again can be an opportunity to save time and money. A lot of time is spent getting the proper marketing assets put together to make it attractive for your next listing. You can hire an agent, or firm to help you put this together each time, or you can hire someone one time, or DIY it to a one and done listing service like Swan Properties. When you spend the time getting your listing right, you’ll never have to do it again. With companies like Swan you are able to create nice looking Craigslist ads to expand your reach and find more applicants. Filling the unit – Finding the right tenant takes a certain ability to not only go through the application process, but to use the application data to read between the lines to make sure they will be good stewards of your rental assets. If you find a potential tenant that has included some form of cover letter and personal introduction you might want to put this application on the top of the list. Most people that go the extra mile in ordinary life, do so as a rule. 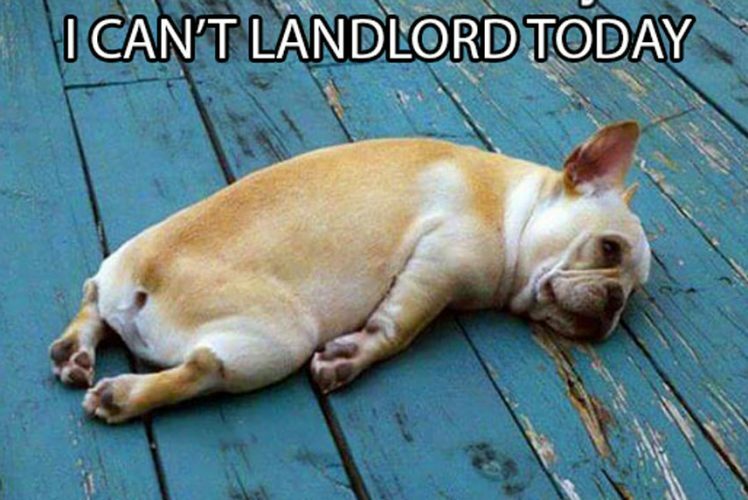 As it is with any worthwhile thing in life, being a landlord is hard work. But it affords you a better life, and you contribute a better life to your renters as well. Turning over a property doesn’t always have to be the hard road if you can keep your lease fulfillment on both the landlord and tenant side and you can muster up a bit of DIY enthusiasm.